Today our nation pauses to remember a man who impacted American history in a way that few will. 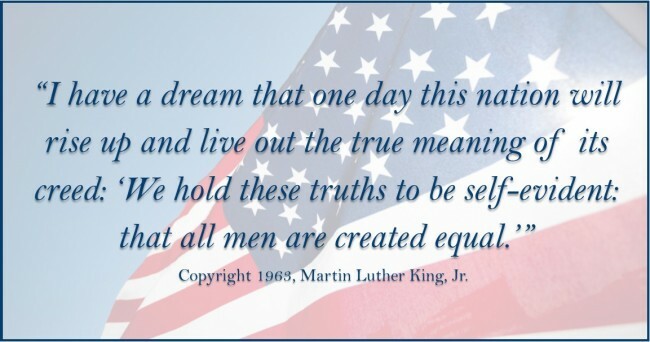 Perhaps the most famous of Martin Luther King, Jr.’s speeches is the “I Have a Dream” speech, which you can hear here. The text of the speech can be downloaded from the National Archives. He delivered the iconic speech in 1963 at the March on Washington in Washington, D.C. The following year, at the age of 35, he became the youngest man to win the Nobel Peace Prize for his work toward ending racial inequality. He donated his prize money to further civil rights work.